Scientists use animals to learn more about health problems that affect both humans and animals, and to assure the safety of new drugs and medical treatments. Some diseases can only be studied in a living organism and it is not always possible or ethical to use humans. 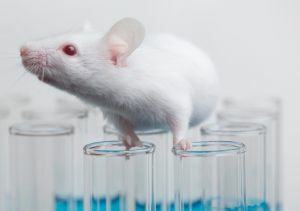 The research community is constantly developing new techniques to help reduce the number of animals needed for use in medical research. Scientists carry out as much of their research as possible on human volunteers, cells, or computer models. However, completely replacing all animals in research is not yet possible. There is no alternative method that can reproduce the complicated working of our hearts and circulatory systems. Please click here to read EHN’s position on research involving animals.